Why do geese fly in a V formation? You asked us, "Why do geese fly in a V formation?" See, flying takes a lot of energy - flapping wings, generating lift. All this flapping creates an updraft in the air currents around the bird's wingtips. Another bird can spend less energy by flying in this sweet spot, which is slightly behind and above the first bird. 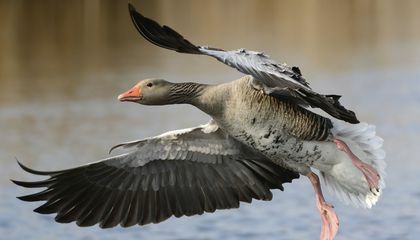 The concept is similar to cyclists riding behind one another in a bike race to save energy, and for geese, spending less energy means flying longer distances. In fact, one study found they can increase their range by 70% on long migratory flights, so when the lead bird gets tired, it drops back in formation and another bird moves to the front. Flying in the V formation also lets the birds keep in visual contact with one another so they're oriented in the right direction. That way, they don't crash into each other or get lost along the way. Who was boss before the dinosaurs? Why does expending less energy allow geese to fly longer distances? 1.One study found they can increase their range by 70% lead birds to gets tired, it drops back in formation and another bird moves to the front. 2. I learned that birds flying takes a lot of energy. for the their wings and the lift. I now know how and why it is easier for geese to fly in "V" formation. They simply catch a ride on each other's drift and fly 70% further because they saved energy/effort through this method.It's just like how bikers preserve energy by biking single file. 2) I knew they conserved that much energy, but not that much! And I found out tat the lead bird falls behind to regain energy. This is actually pretty cool, I never would have thought this is why. This is super smart, and cool that they figured this out. I thought birds just flew like that just so they stayed together in a group, but this is a real strategy. It makes sense now why they can fly for such long periods of time. This article is explaining why geese fly in a v formation. It says that the geese fly in such a formation so that they save energy. The goose in the front is a wind breaker for the other geese. They constantly switch who is were in the formation so that they don't get too tired. This applies to me because sometimes I need other people to pave the way for me. Just like the geese have to rely on each other in order to achieve their flight, I sometimes have to rely on my friends and family in order to achieve something. Expending less energy can allow the geese to fly up to 70% farther because they don't get as tired, so they have the strength to continue. I thought this article was cool, because I had heard of bikers using this strategy, but I didn't know it applied to birds in the sky. This a pretty amazing article. Animals are so intelligent just from being around so long and figuring out the what works best. Flying in a V shape is such a great example of how animals adapt and work to save energy and gain something in the process. 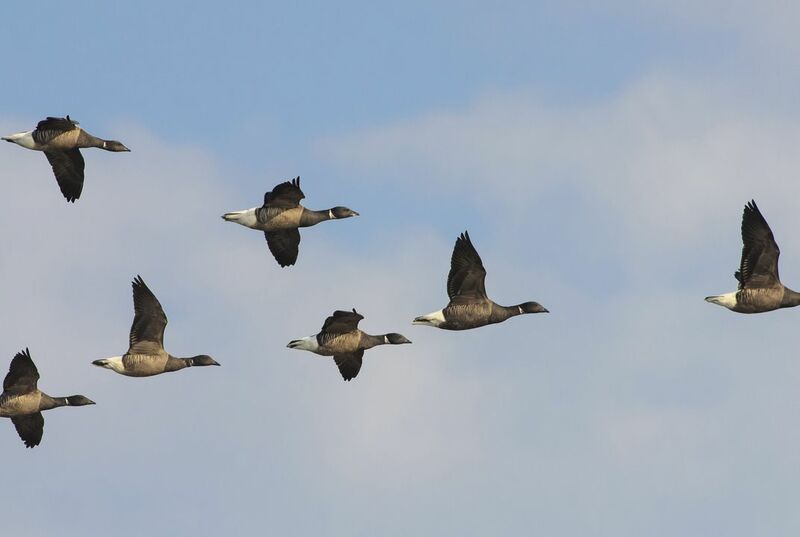 Who would have thought the just flying in a V shape could allow the geese to fly 70% farther? That's awesome! I love learning about birds. It is amazing how smart they are. they know how to fly easier and they figured it out them selves. Thats pretty smart. They are also very graceful. This was a great article. 1. Expending less energy allows geese to fly longer distances because they do not get tired quickly. 2. I never knew why birds fly in a v formation but i learned that it helps them fly further without using so much energy.